Winston Chaney is the voice of gospel radio in the Washington metropolitan area.Affectionately known as “The Morning Man,” he hosts “The Morning Show,” the most popular broadcast on WYCB-AM 1340, a member of the Radio One Network, the largest minority-owned radio broadcast system in the nation. 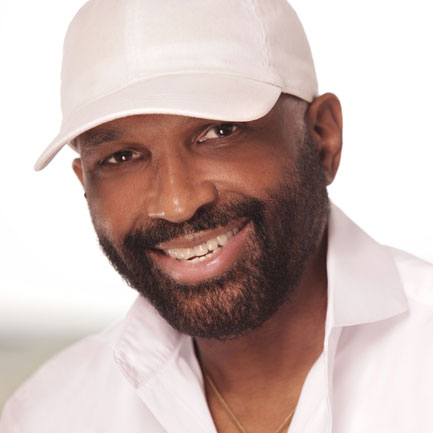 Winston’s wholesome, down-home charm and good-natured humor make him an ideal spirit for gospel radio, as well as for Christian community outreach. He often emcees area events and attracts a devoted following wherever he appears. Winston is a native of Danville, VA, and son of Winston and Nancy Chaney. In 1972, after high school graduating, he entered MitchellJunior College in Statesville, NC; he returned to Virginia in 1974 and attendedVirginia Commonwealth University. Winston became interested in radio and began training at WKIE, a local radio station in Richmond,VA. After two years of part-time work there, he relocated to Washington, DC, and secured a part-time position with WYCB-AM. Four years later, in 1984, he received a call to do The Morning Show. Winston is a member of the Greater Mt. Calvary Holy Church in Washington, DC, where he also serves on the Deacon Board and in the Male Chorus. His hobbies include: sports; photography; travel; and, of course, a love of music.